Premium cement is a high quality general purpose cement supplied in bulk and is suitable for many applications. The quality of our Premier bulk cement is guaranteed to meet in full the requirements of British Standard BS EN 197-1 “Cement Part 1: Composition, Specifications and Conformity Criteria for Common Cements” and carries the CE mark. Premium Cement (bulk) is available from all Premier Cement locations. 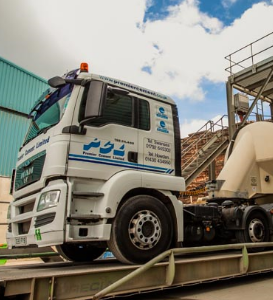 Portland Cement is produced by grinding a combination of cement clinker, using grinding aids, along with a small quantities of gypsum and limestone to produce the final fine grey powder. Cement clinker is made by fusing together, at high temperatures, a precisely controlled blend of very finely ground limestone and shale. Premium Cement (bulk) is suitable for a wide range of applications where no special or unusual considerations arise. Typical applications include use in general readymixed and site-mixed concrete, precast and pre-stressed concrete, masonry, mortars, renders and grouts. Premium Cement (bulk) is also suitable for use with a wide range of additives and admixtures. Declarations of Performance (DoP’s) and all other technical data are available in our Downloads section.